to renew the skins moisture barrier. 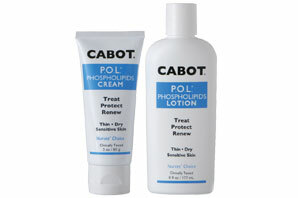 Doctors, Nurses and Caregivers Protect Skin at Risk with P.O.L. to learn just how effective P.O.L. CREAM and LOTION really are. Skin is at the interface between the body and its external, often hostile, environment and the semipermeable epidermal moisture barrier prevents both the escape of moisture and the entry of infections or toxic substances. P.O.L. CREAM renews the skin’s moisture barrier.